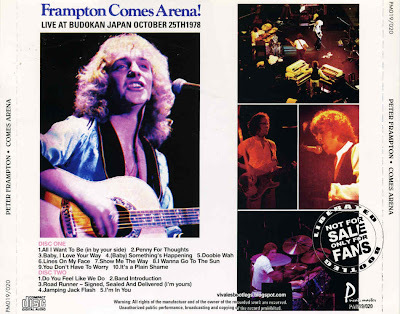 Recorded Live at Budokan, Tokyo, Japan - October 25, 1978. EX-/VG+ Audience Recording [AUD5] :: Bootleg Silver CD :: CBR 320 kbps. Files: 15. :: Size: 204,24 MB. 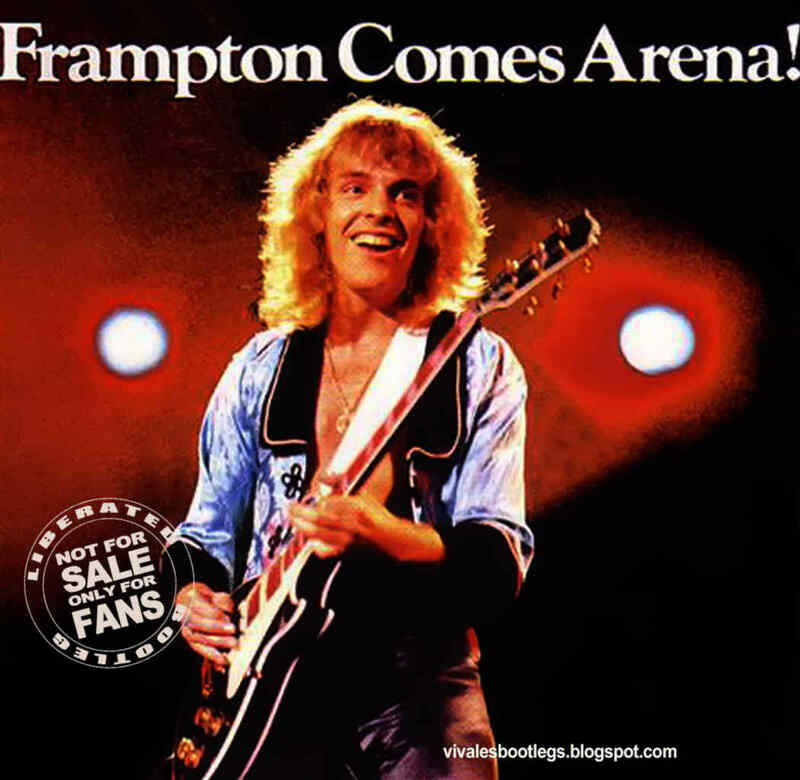 Notes: Frampton Comes Arena! is another new tape from the archives. After having major success with the live LP Frampton Comes Alive in 1976, this tour marks his first trip to Japan. The sound quality is very good to excellent, being clear and detailed, and captures a superb atmosphere. The Japanese audience claps along in some songs but the music is much more powerful. There are a few cuts between tracks but no music is lost. The setlist weighs mostly on the Frampton Comes Alive LP with only two new compositions and a covers medley added to the show. <-(Info taken from collectorsmusicreviews.com).